It's that time again, today I'm running you through a list of items/products that I have been loving this last month. 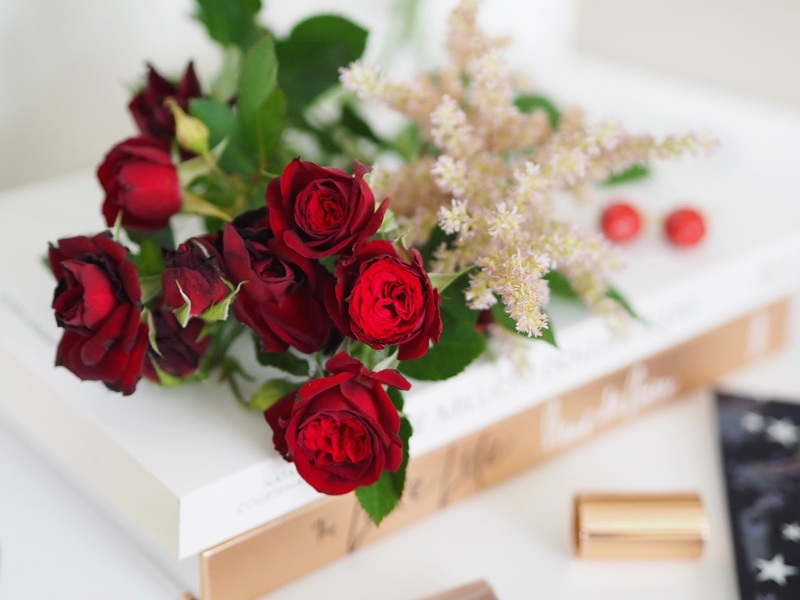 I have loads of new & exciting favourites to share with you, so lets get started! 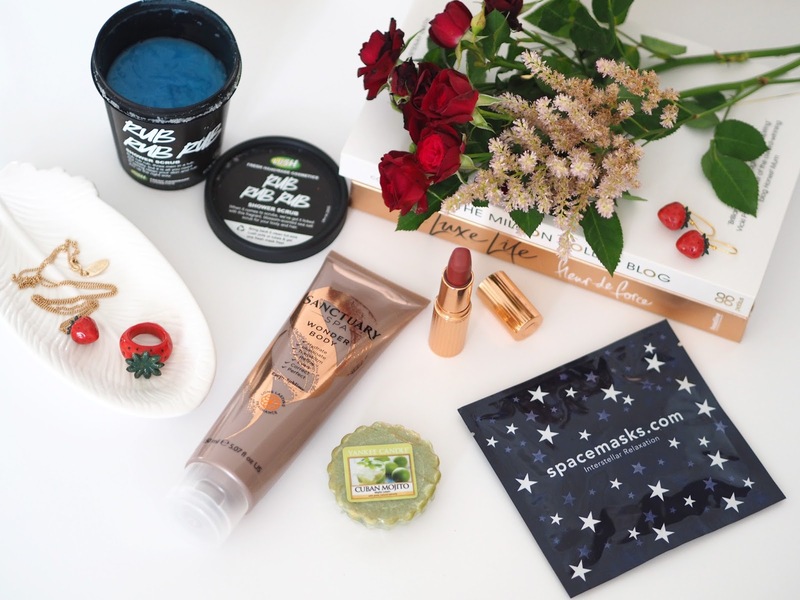 Spacemasks Eye Masks | Being a blogger and well, just a modern day girl I find it really hard to switch off! I'm always checking my emails, my notifications on my phone not to mention my Instagram feed. Plus with my chronic pain and other health problems I'm not very good at relaxing in general. So when I received these eye masks to try from Spacemasks* it was the perfect excuse for me to switch of and actually close my eyes and relax for a change. 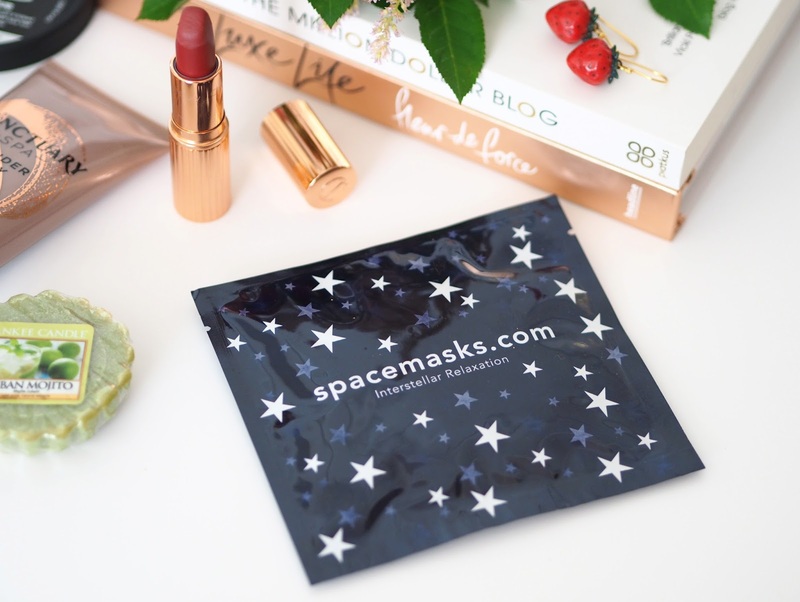 Each mask comes in a little sachet with a starry night pattern like the outer packaging and loops to hook around your ears. They work out at £3 each and you can buy them in boxes of 5 for £15. They are jasmine scented and warm up once you remove them from the packaging. It felt wonderful just lying down with my eye mask on I didn't want to take it off! I think these would be ideal for long haul flights as they're perfectly travel sized and would definitely help you to drift off on the plane. In fact I've already decided to order another box for myself! 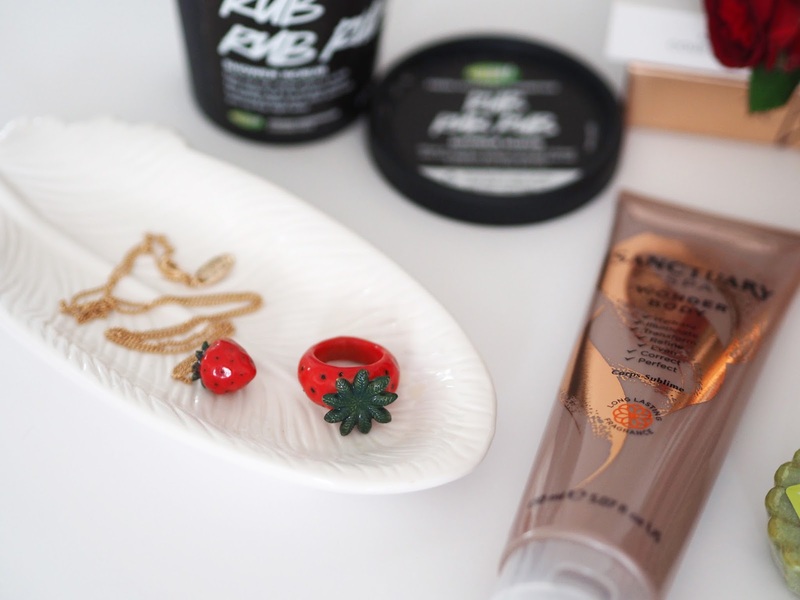 Strawberry Jewellery by And Mary | I first discovered And Mary Jewellery about 3 years ago through one of my favourite bloggers A Clothes Horse and have been building up a collection ever since! They make unique porcelain pieces most of are animal themed and incredibly detailed. I spied this Strawberry set* and thought it would be perfect for my summer wardrobe, you may have already seen me wearing them in this post. I got the Tiny Strawberry Necklace, Ring & Earrings. They are just so cute and beautifully made. I'd definitely recommend giving their website a browse I have no doubts that you won't be able to leave without making a purchase! 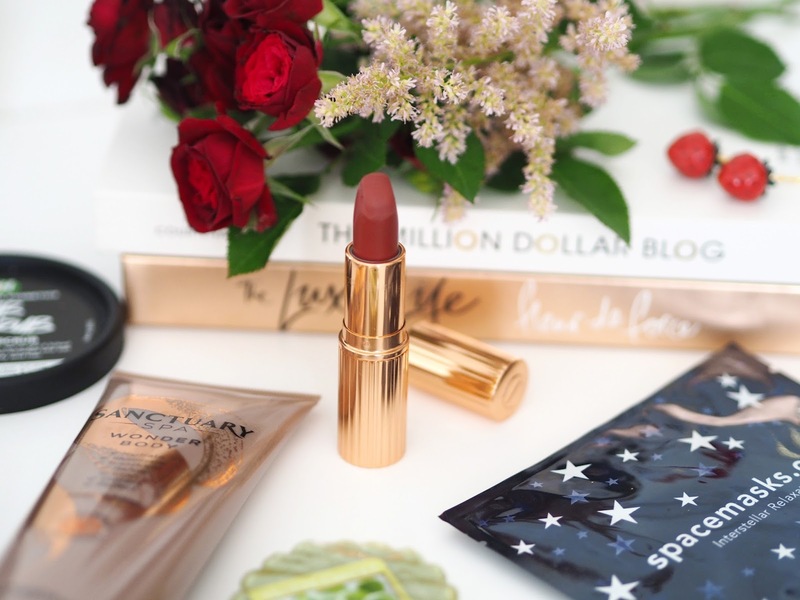 Walk of Shame Lipstick by Charlotte Tilbury | Let's face it I just absolutely swoon over anything Charlotte Tilbury and even though it's pricey I can't help myself buying her products! I bought this lipstick as I wanted a matte red shade that wasn't bright bright red for my Summer Lookbook shoots. I love her Matte Revolution formula as it's long wearing, not drying and has an almost suede texture that means you can press your lips together comfortably without any stickiness or peeling. I wouldn't expect anything less from Charlotte Tilbury. Walk of Shame is described as a Berry Rose shade but I'd describe it as a muted, vintage red that's very neutral and good for all skin tones I'd say. Definitely one I would re-purchase once it runs out. 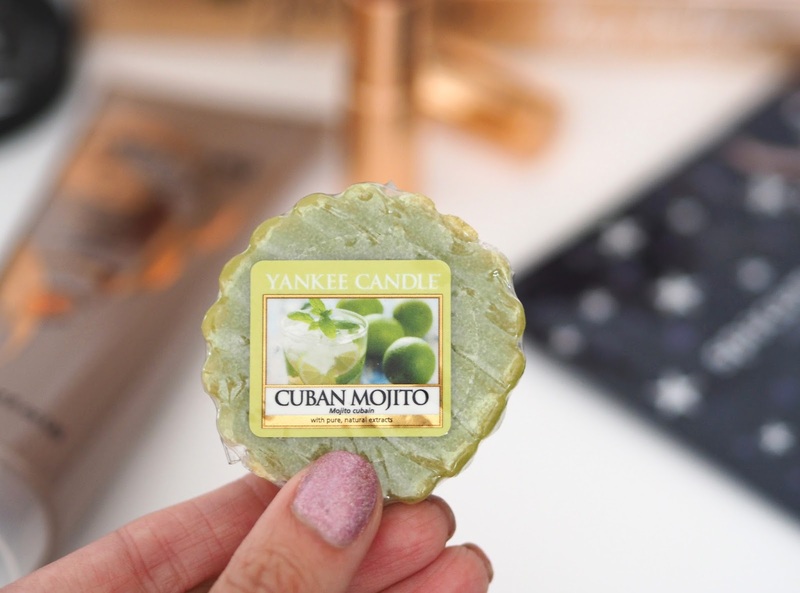 Yankee Candle Cuban Mojito | As I think I've mentioned before I love a bright fruity fragrance for the summer. Cuban Mojito is a new release from Yankee Candle this year in their Viva Havana collection. It's bright, zesty and very awakening which is what I want in the mornings! It reminds me of Vanilla Lime or old retired favourite Margarita Time so if you're a fan of those then this will be right up your street. This one has a slight minty hint to it though giving it a different twist. Described as: "A chilled mix of mint and lime, as refreshing as a tall, icy concoction on a tropical day." Rub Rub Rub Body Scrub by Lush Cosmetics | I know this Body Scrub is a real favourite amongst lushies but only recently tried it! I love using scrubs in the shower and particularly during the summer months when more skin is on show I think it's essential to make sure you do it regularly. It smells absolutely divine as it includes mimosa, jasmine and orange flower plus it leaves behind a lovely light film of moisture on the skin. So if you're in a hurry then you may not need to moisturise afterwards, although I still always like to. I like my scrubs to be really packed with exfoliating particles and this one definitely ticks that box as it contains sea salt! If you want a particularly good exfoliate (perhaps if you've got that bumpy skin on the tops of your arms) I'd recommend using it on skin that's only slightly damp rather than wet. It does say you can use it in your hair to add volume and shine but I'm yet to experiment with that. This product last a long time and I will definitely be repurchasing! "An exfoliating shower scrub that can also be used to wash, volumise and add shine to hair. Packed with mineral-rich sea salt, Rub Rub Rub can be used as a gentle scrub on wet skin, or on dry skin for a really good buff before you get in the shower. Sea salt, a natural antiseptic as well as exfoliant, is combined with lots of lemon juice to leave your skin feeling rejuvenated and it also adds shine and volume to hair." 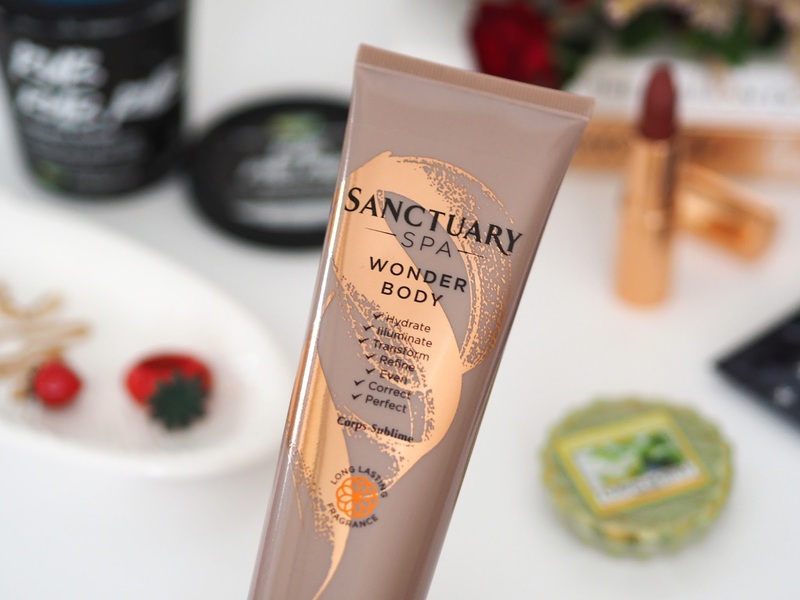 Wonder Body by Sanctuary Spa | I've been using Sanctuary body lotion a lot this summer. It's lovely to use on my legs for a light tint or over fake tan to add a nice glow. I used it on my recent outfit shoots to make me feel more confident about baring my legs in photos! It's basically like a tinted Body lotion with an illuminating sheen so you could just apply it to your shins, collar bones and shoulders if you want only a little highlighting effect. It has a lovely subtle scent and I haven't seen any noticeable transfer to my clothes either which is a bonus. I think it is actually quite a good dupe for Charlotte Tilbury's Supermodel Body if you're looking for a budget alternative. It's priced at only £9 at Boots and I love that Sanctuary products are paraben free & the company are against animal testing. "Prepare to bare & show off a healthy looking glow & beautifully smooth skin. This tinted moisture treat is infused with grape seed & abyssinian oil, blurring skin perfectors & sheer, colour adaptive pigments that transform to suit all skin tones."